So what do engineers do? A more appropriate question might be what they don’t do. 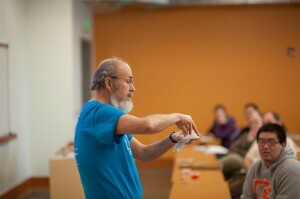 At a recent presentation called Stories from the Game of LIFE, Rochefort shared innovative ways that engineers are solving global problems, from cleaning up the Gulf Oil Spill with Willamette Valley sheep wool, to Jell-O-like beads that deliver drugs for cancer therapy, to recycled plastics that insulate homes. 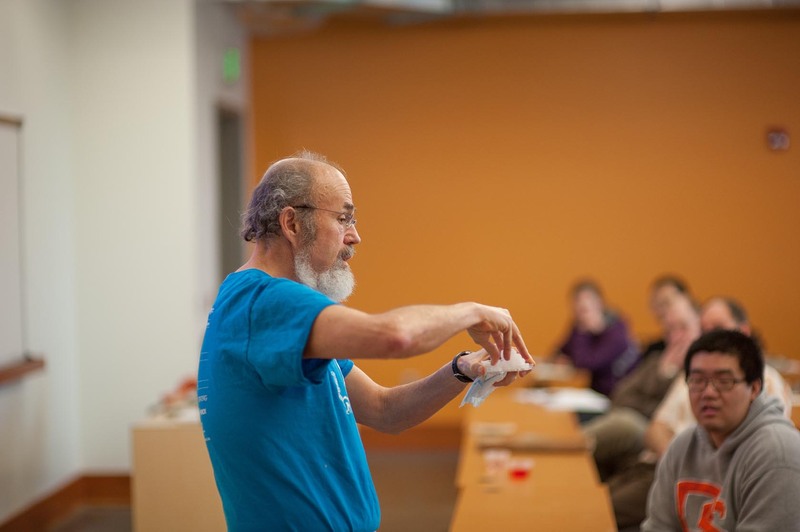 “It’s amazing what you can do to effect people’s lives through engineering,” he said. Rochefort also demonstrated how common technologies such as the Super Absorbent Polymers (SAP) in disposable diapers are being used in cutting-edge ways. Farmers in California, for example, are using SAP to combat torrential rains that wash away the topsoil and shorten the growing season. The polymers soak up excess water and release it slowly to create optimal growing conditions. “Everybody thinks, ‘ewwww, diapers, what a low-tech thing.’ But look what else you can do with them,” he said. From the products we buy to innovations that improve soil health and keep our homes warm, engineering impacts virtually all facets of daily life. So the next time you bite into a navel orange from California, you might just thank an engineer.